Thinking of moving? Go nowhere until you consult the “death map,” a county-by-county snapshot of the likelihood of dying from a natural disaster like an earthquake or hurricane. Assembled by geographer Susan Cutter and grad student Kevin Borden of the University of South Carolina, it reflects nationwide data from 1970 to now on which spots were hit how often by floods, extreme weather and other manifestations of the wrath of the gods. 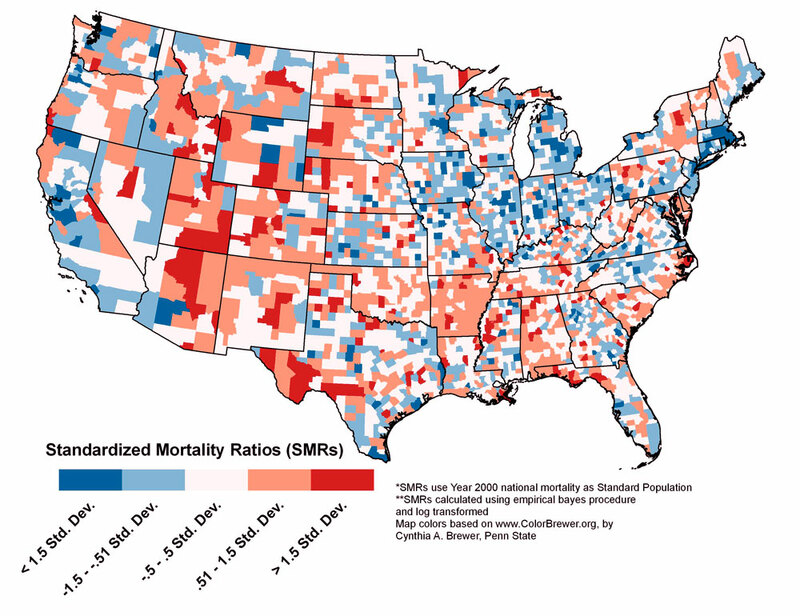 As they report in the Dec. 17 issue of the International Journal of Health Geographics, Southerners are way more likely to die due to a natural disaster than are people in other regions of the country, mostly because of severe weather such as tornadoes. The northern Great Plains is a hotspot of deaths due to heat and drought, while in the mountainous West winter weather and flooding are the big killers. In the south central states, floods and tornadoes are the grim reaper’s instruments of choice. Of all deaths by natural disaster, heat and drought took the greatest toll, accounting for 20 percent of total deaths, followed closely by severe summer weather (19 percent) and winter weather (18 percent). It’s a bit ominous to realize that these are precisely the kinds of events that are becoming more common due to glibal warming and the ensuing climate change. In contrast, geophysical events such as earthquakes, wildfires and hurricanes accounted for less than 5 percent of total hazard deaths. Check out the risk in your area on the map.